A wedding bouquet is an indispensable attribute of the bride, in perfect harmony with her image to emphasize her sophistication, charm and charm. The image of a flawless, stylish pair is complemented by a buttonhole and a delicate flower bracelet, charming wreaths and much more. 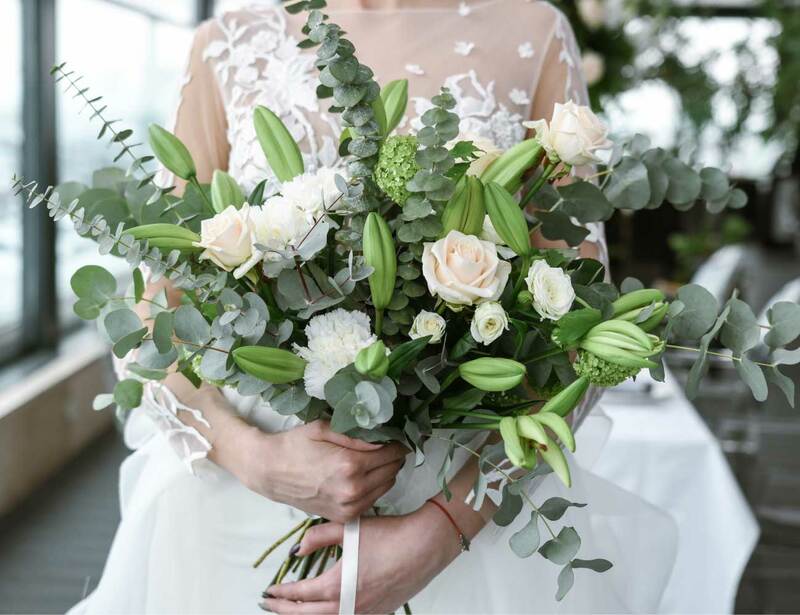 By leaving an order in our boutique, you have the right to expect a sophisticated, carefully designed, original designer bouquet that will become your faithful companion during a special day, the importance of which is difficult to overestimate! The cost of a wedding bouquet here starts from 40 euros. A medium-sized bouquet provides a budget of 60 euros. Cascading bouquet – from 110 euros. 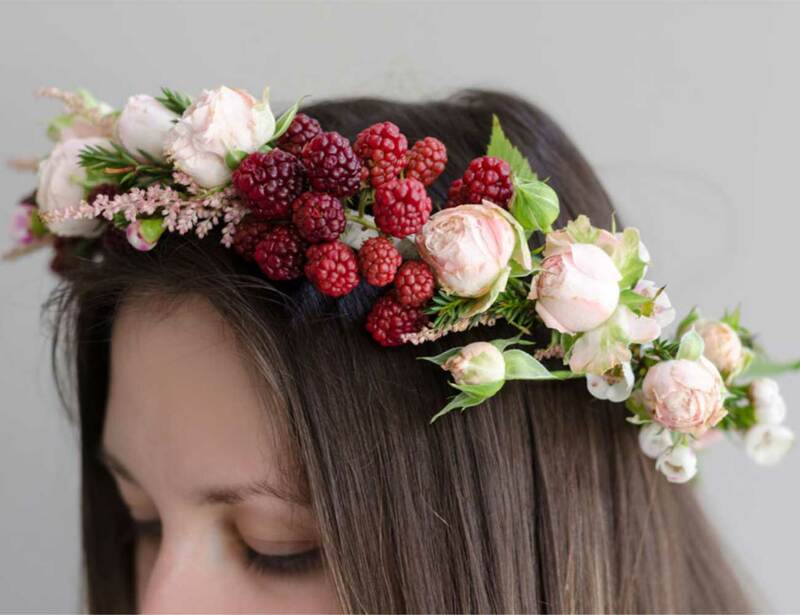 The final cost is formed only after a detailed discussion with the florist. Order a bridal bouquet preferably in advance. Practice shows that the more time we have to prepare, the better the result! When ordering a bridal bouquet from 100 euros, a boutonniere is a gift.